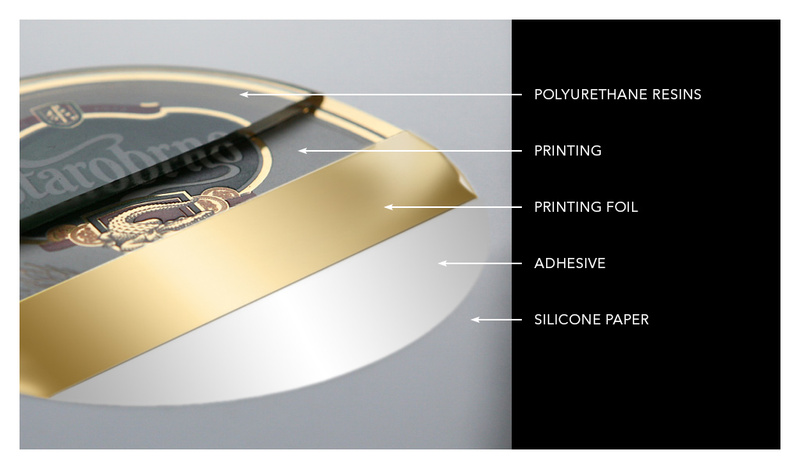 Thanks to our 3D labels you will get quick, imaginative and effective form of presentation of your products. Resin stickers covered with polyurethane resin receive a completely new dimension. The 3D effect instantly brightens colours, highlights the shape and protects their surface. 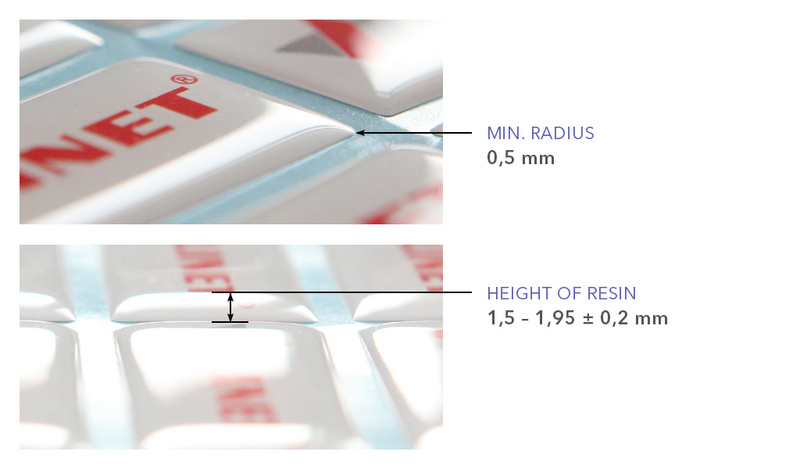 Given the wide range of foils, quality digital and UV digital printing or screen printing, 3D labels are suitable for both indoor and outdoor use. They have excellent adhesion to all smooth surfaces and can be produced in various shapes and sizes. Domed labels are utilised in all fields of industry from automobile through health, food industry, and advertising to health clubs.